Welcome to this wonderful Italian inspired custom built home in Chestermere. On 3.1 acres this home has 15 foot vaulted ceilings, custom wood work and hardwood throughout. This is city and country living in one. 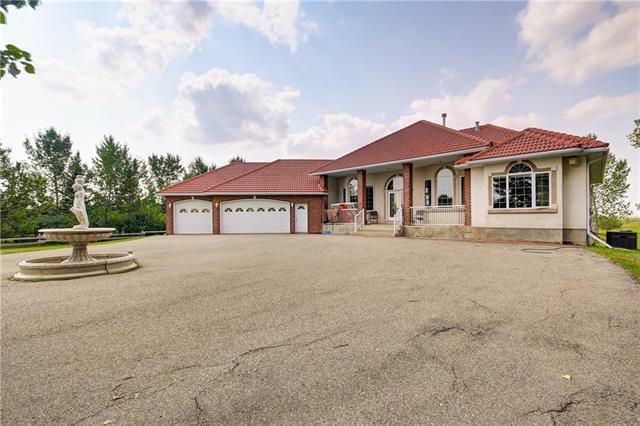 This spacious bungalow has six bedrooms, five bathrooms and a fully finished basement which includes three bedrooms, kitchen and living room with a private entrance. There is also a three car attached garage and a two car detached garage perfect as a workshop.